Our Central Oregon chapter has been busy working on new ideas and supporting old ones too. We are exploring the possibility of creating a scholastic scholarship. Christina Withers has volunteered to gather some information to present at our April meeting. We are contacting local farmers to see if they’d be interested in posting crop ID signs in Central Oregon. Jana Kittredge brought back “mint” ID signs from the convention. She will be posting an “alfalfa” ID sign in her community. 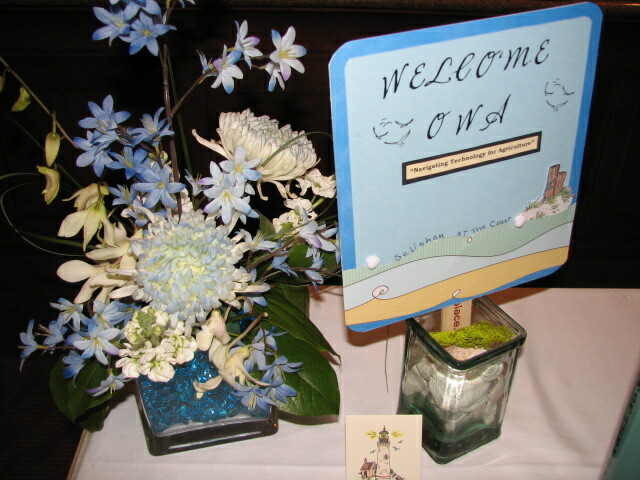 We are busy collecting donations for our High Desert Getaway Golf and Dinner package fpr OWA’s auction in April. Kris Jones is coordinating an Ag Day for 4th graders at Cecil Sly Elementary in Prineville, similar to what she did last year at Ochoco Elementary. We are providing coloring books and note pads for the event. We are ready to kick off this year’s AITC Literacy event in Central Oregon. Several schools are on our schedule to visit this year. We are exploring the option to become associate member of Oregon Hay and Forage Association to gain more exposure of our chapter. Officer positions are up for election. Our next meeting will be held April 1st, noon at Farm Credit Services office in Redmond. Bring your lunch and join us! We will host the June 21st state board meeting at Amerititle, Redmond office. We are ready for spring in Central Oregon!